Each month I join with my friends, Susan from Organized 31 and Andrea from Homemade for Elle, to offer our readers a giveaway as our way of saying thank you for your support. We truly appreciate your visits, comments, and emails! 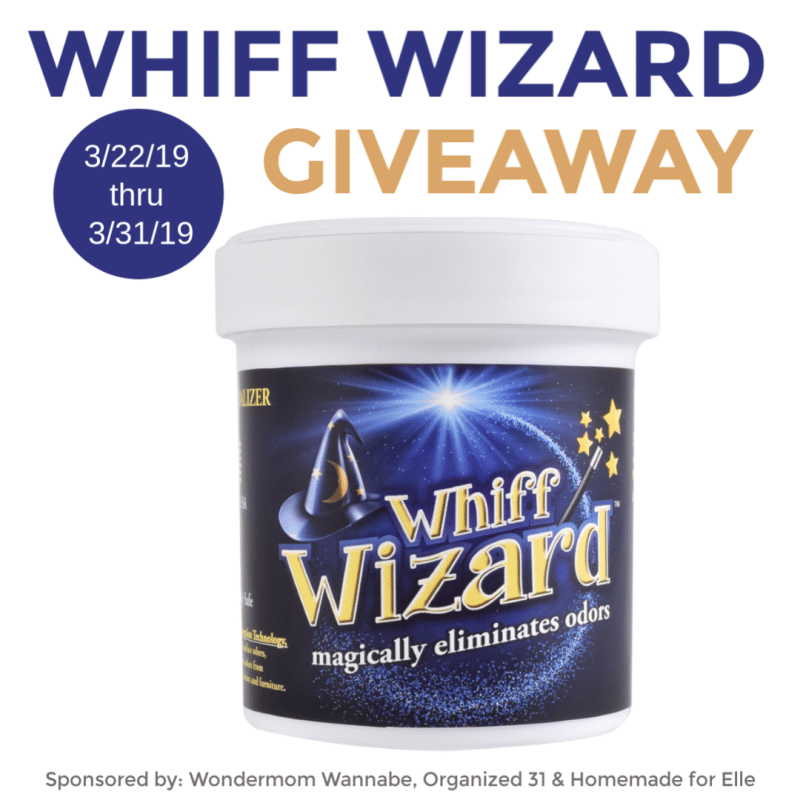 This month we’ve partnered with Whiff Wizard, the effortless way to remove unpleasant odors from anywhere in your home, office, or vehicle! To use Whiff Wizard, you simply peel the label away from the top of the jar and place it wherever you want to eliminate odors! It completely neutralizes odors instead of covering them up. Even better, Whiff Wizard doesn’t contain artificial fragrances or dangerous chemicals. You can safely and confidently use it around children, pets, or anyone else! This giveaway is open to anyone 18 or older. Ends 3/31/19 at 11:59 pm EST. You can also go ahead and order some for all the smelly areas in your life (bathrooms, the back row of the minivan, near hampers full of dirty laundry) directly from Amazon. GET IT HERE.